This isn't a review of the new much-derided film WELCOME TO MARWEN starring Steve Carell, but rather a review of the 2010 much-loved award-winning documentary on which that film is based. Mark Hogancamp was an apparently normal guy living in a small town. But he was also recovering from alcoholism, a talented artist, and a secret transvestite. One day he was in a bar and a bunch of nasty bigots beat the crap out of him because he admitted he liked wearing women's clothes. The resulting injuries were so severe his face had to be reconstructed and he suffered brain damage. But this being America, the money ran out for treatment, despite the fact that Mark was still evidently traumatised. Mark couldn't draw anymore because his hands shook too much. So he created a world of his own in which to recuperate and live a life that HE controlled. He did this with barbie dolls, and later one-sixth size models, dressed in world war two uniforms, peopling a Belgian village called Marwencol. Mark created stories for these models - some standard WW2 stories - some that were clearly helping him play out and deal with his attack - some expressing his desire for love - some expressing his desire to freely dress as he would wish. Mark didn't just create his stories but photographed them using an old camera, without a light meter. He didn't even think of himself as an artist. But the resulting images are beautifully staged and framed. The attention to detail is astonishing. The ability to create images that speak to us emotionally profound. And then of course, there are images that are just plain weird, and move us because they evidently reflect Mark's life and attack. Not to mention the endless patience of his friends - especially the women - who have to deal with Mark turning them into love interests or victims of the Nazis! This documentary is a beautiful, short, moving insight into the life of a man battling his own demons, but also dealing with a cruel world, sublimating it all into the most surprising, stunning, wonderful art. It's a gorgeous, if sometimes, weird world, and a truly unique film. 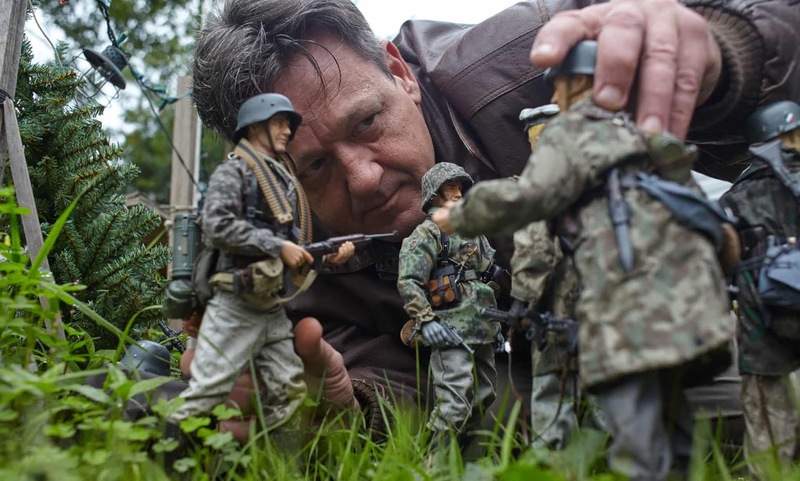 MARWENCOL has a running time of 83 minutes and is available to rent and own. You can also buy art and merchandise at here.